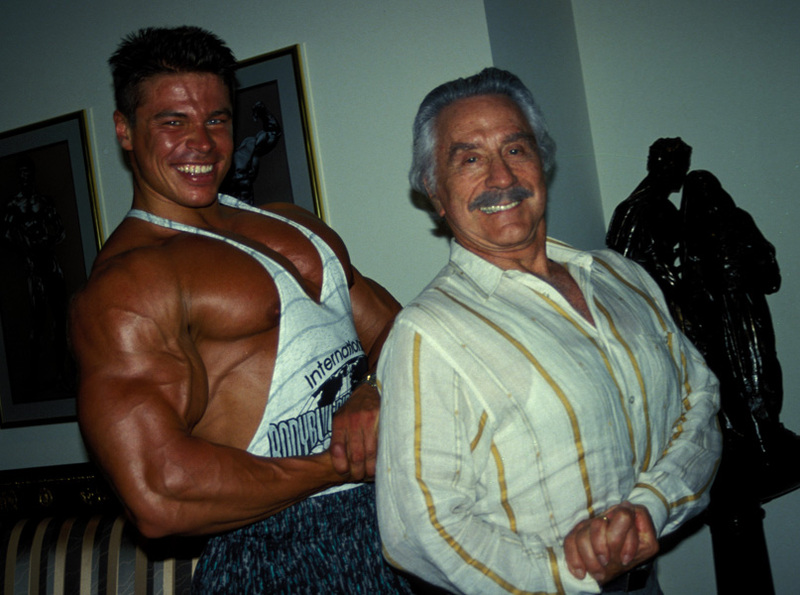 Dozens of photographs from his priceless collections are displayed here. 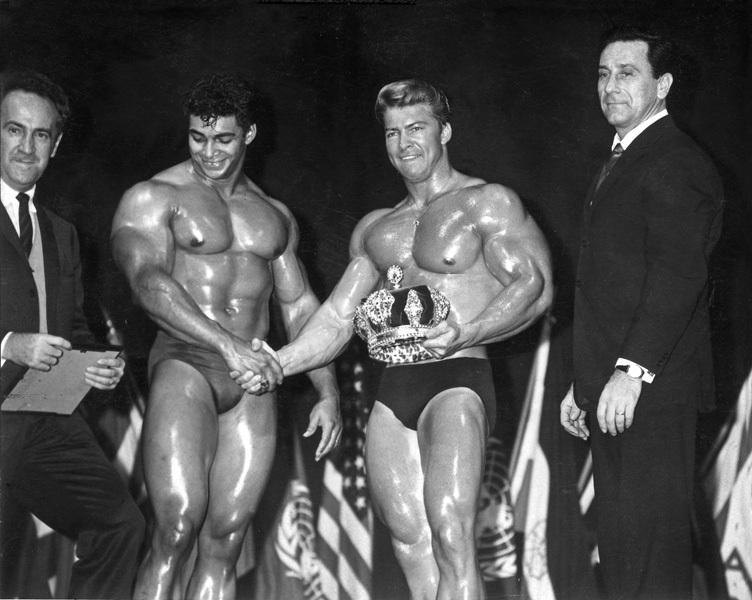 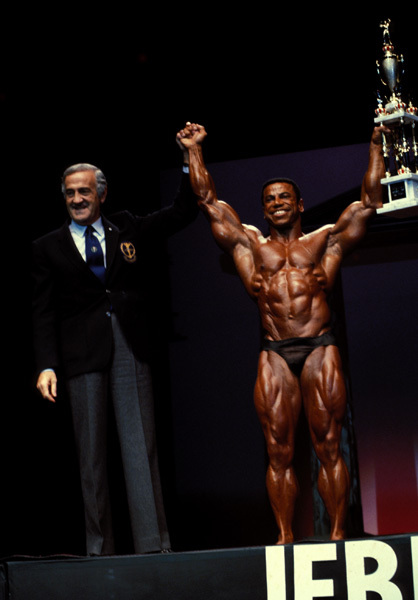 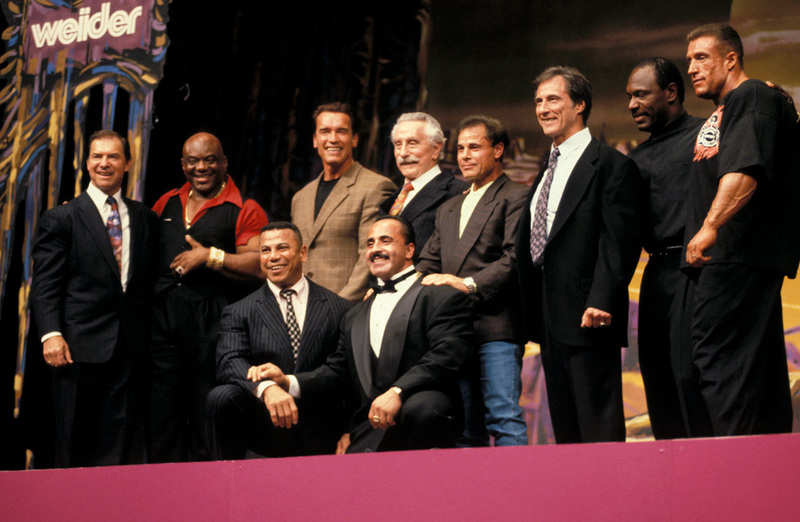 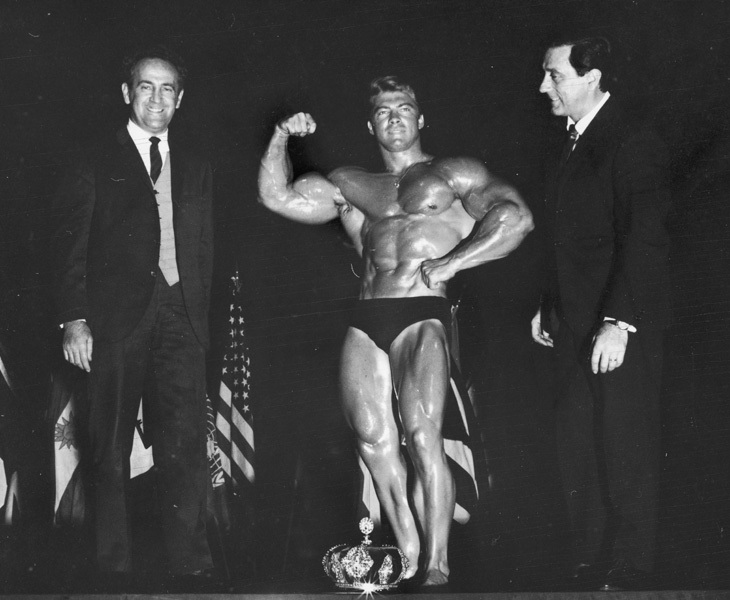 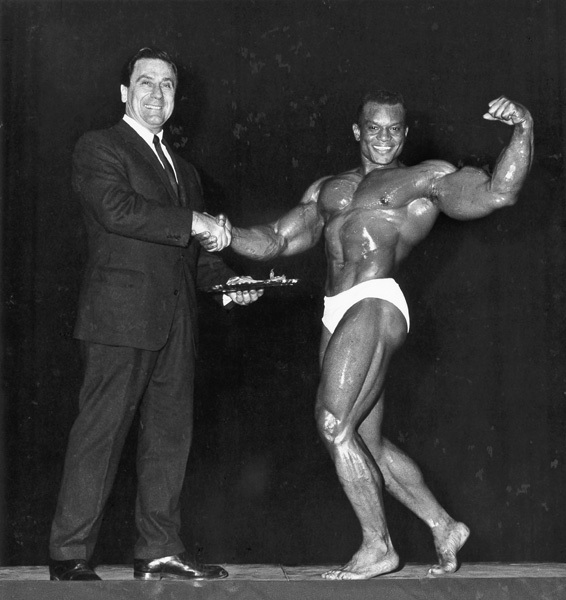 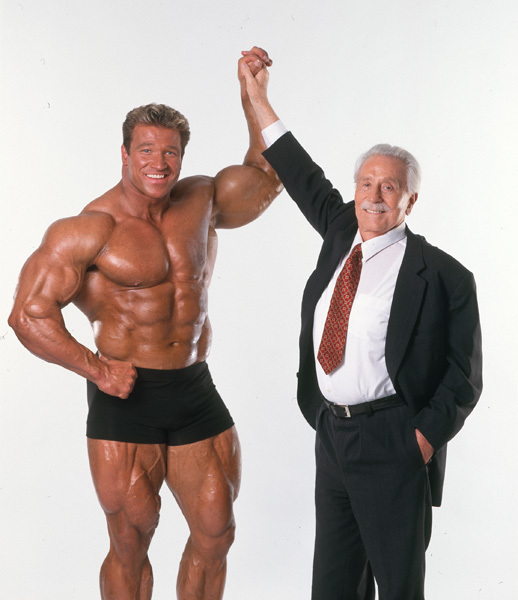 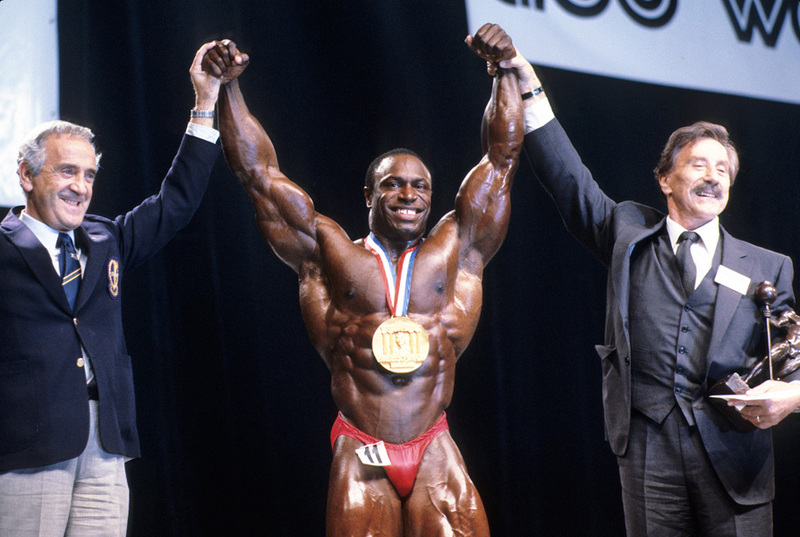 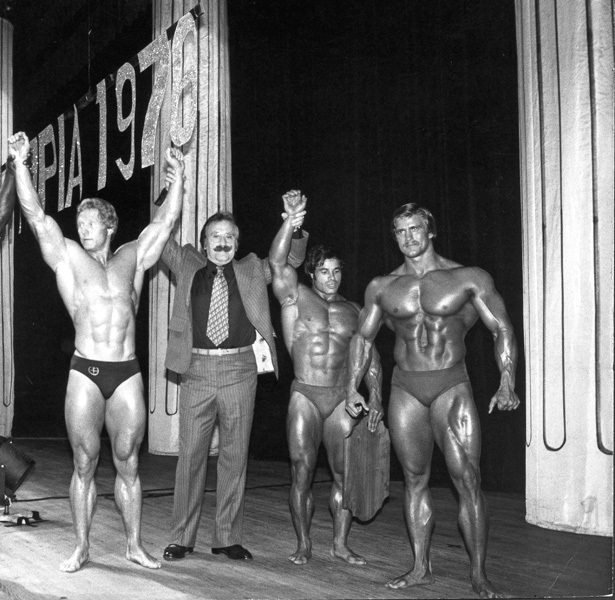 Note the excitement (and pleasure) when Joe would come to the stage at the end of a tournament to raise the hand of the victor. 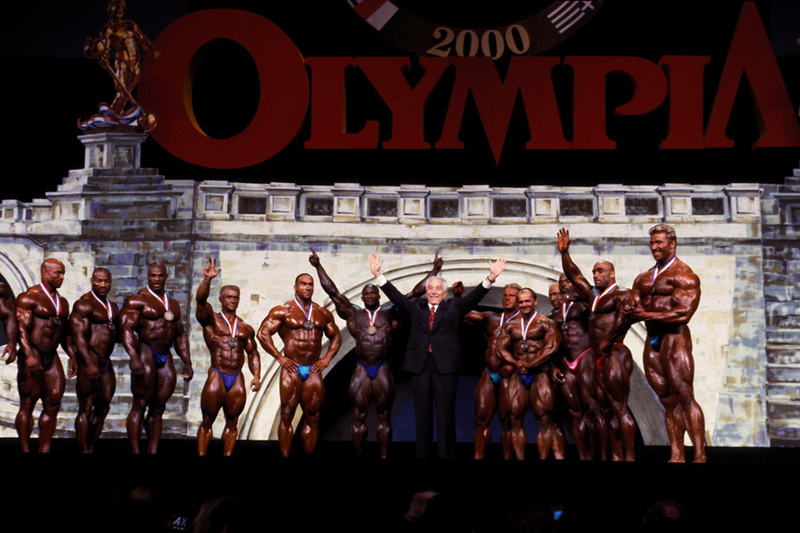 Many champions have described that moment, the culmination and fulfillment of years of hard work to achieve the Olympic ideal, as a transforming experience. 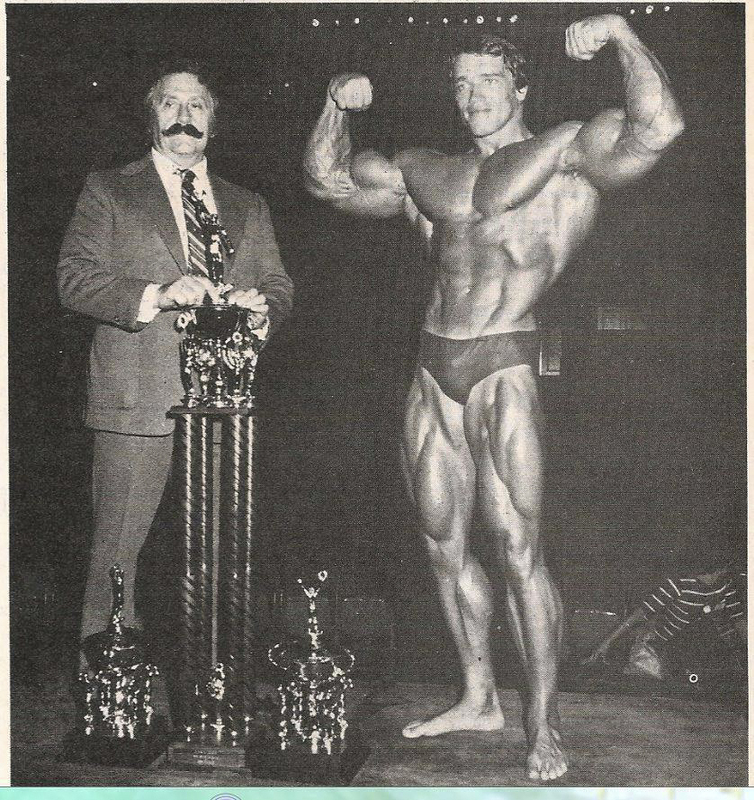 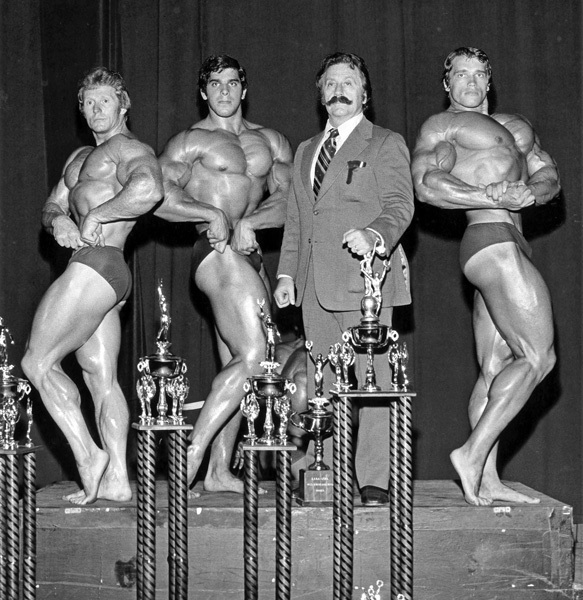 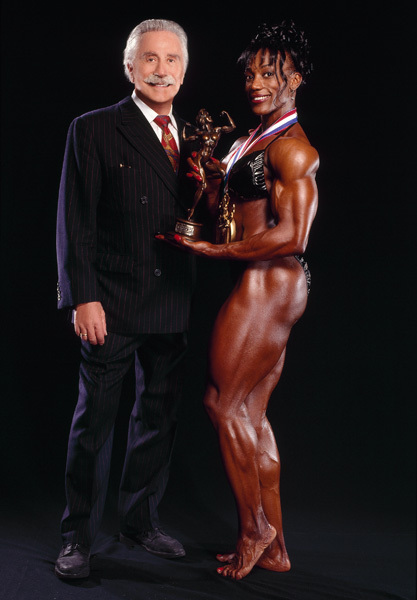 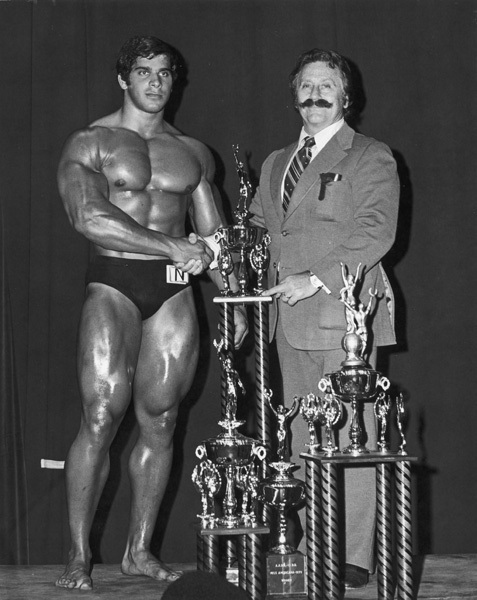 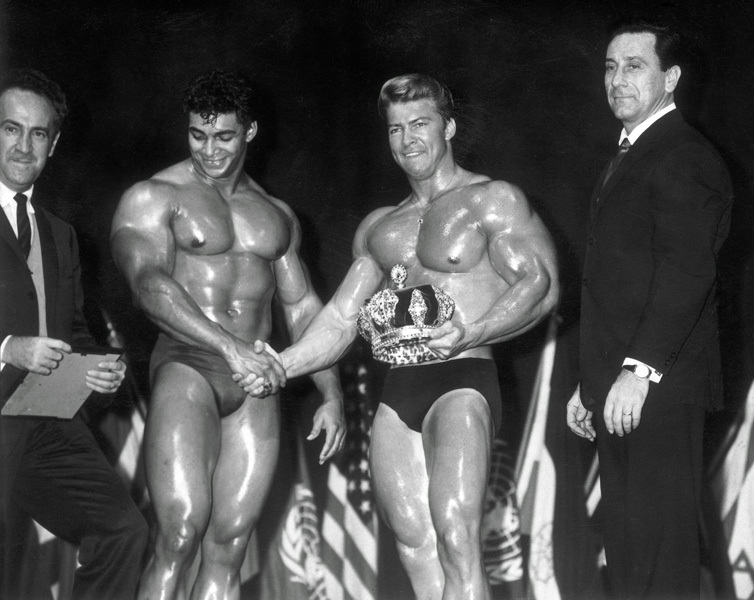 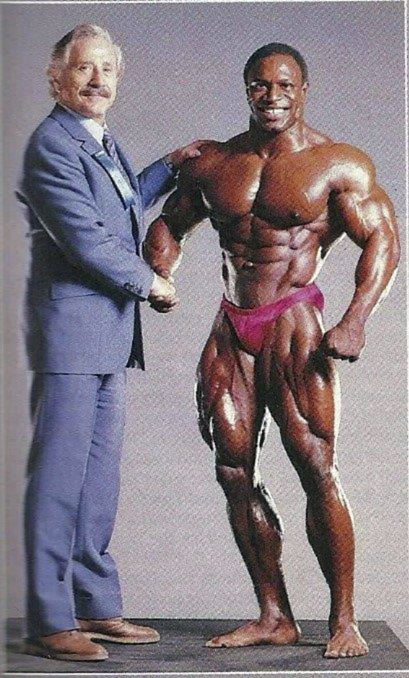 In these photographs we see, whether from the early years or more recently, the same glow from the winners and the same pride from Joe. 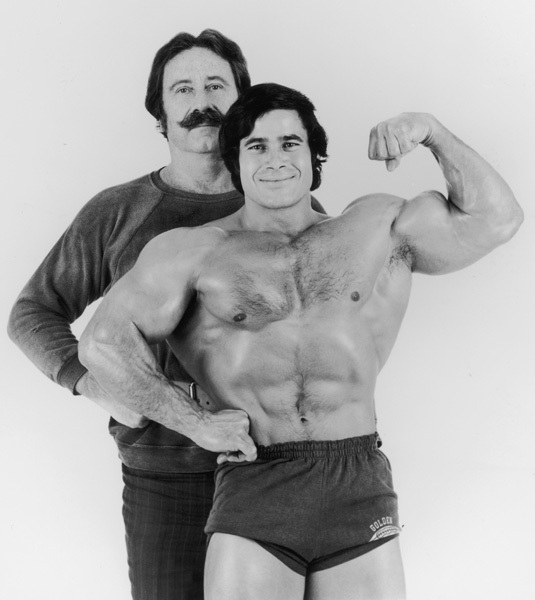 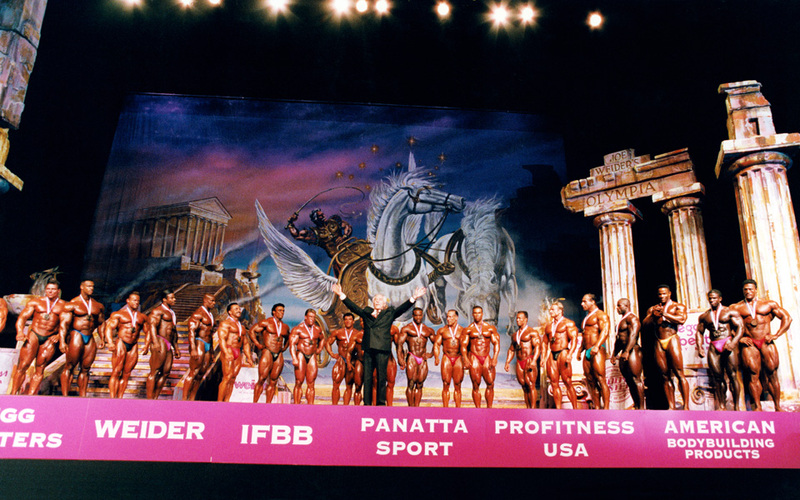 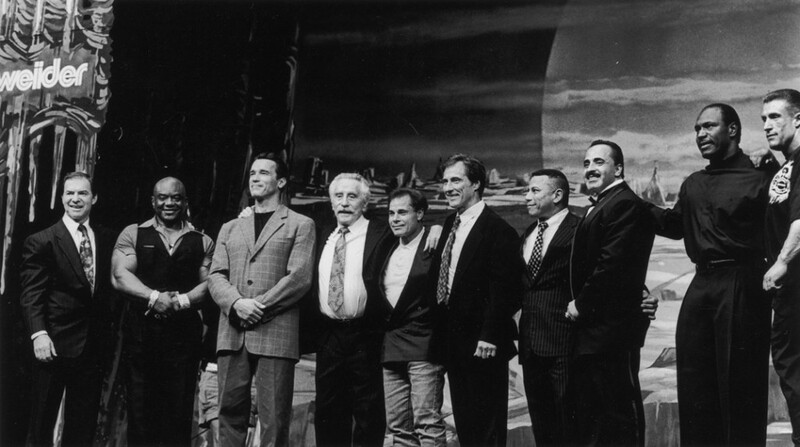 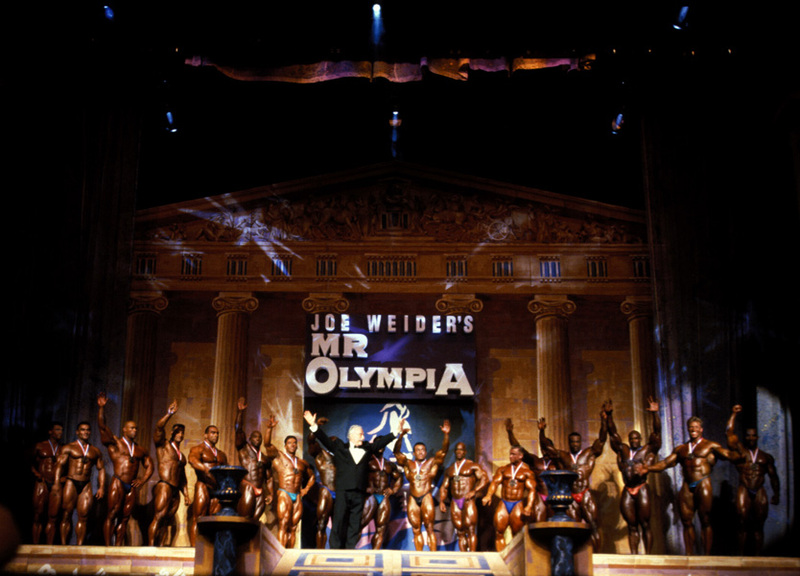 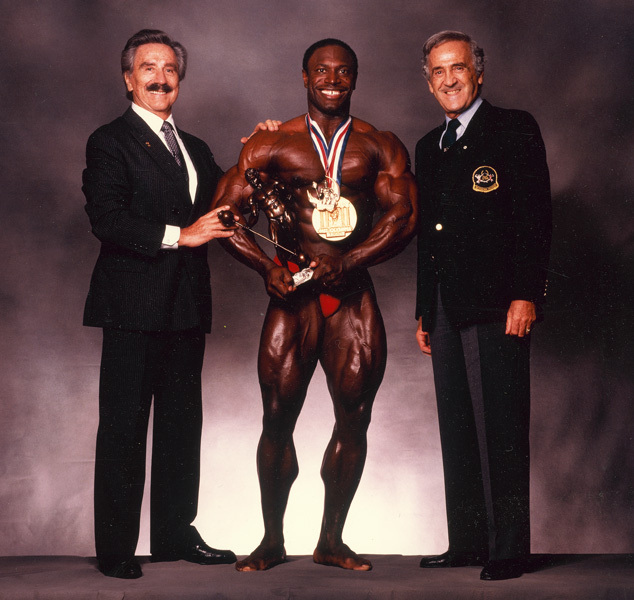 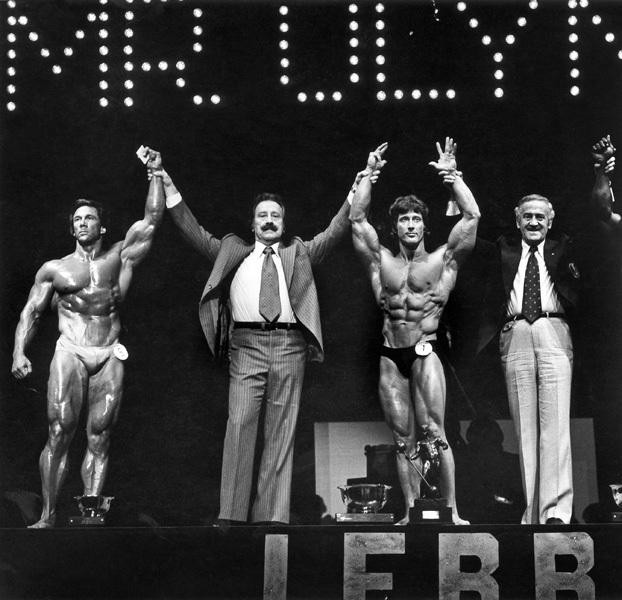 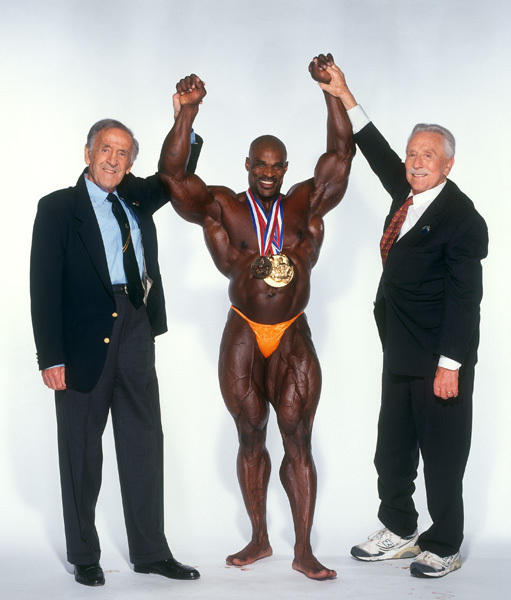 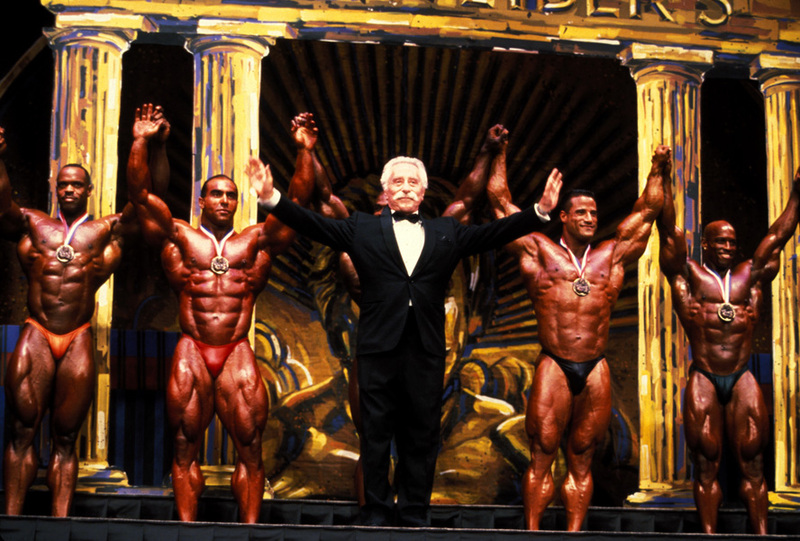 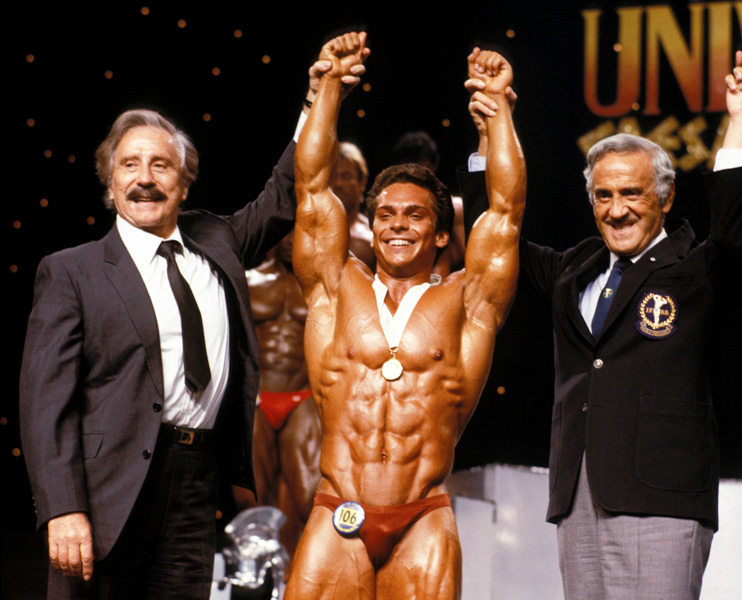 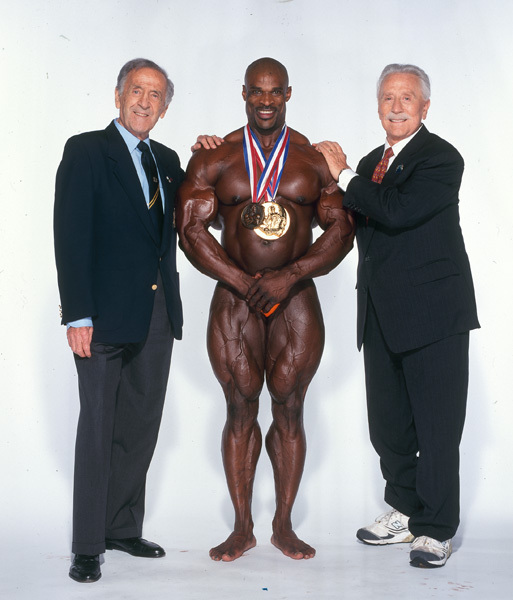 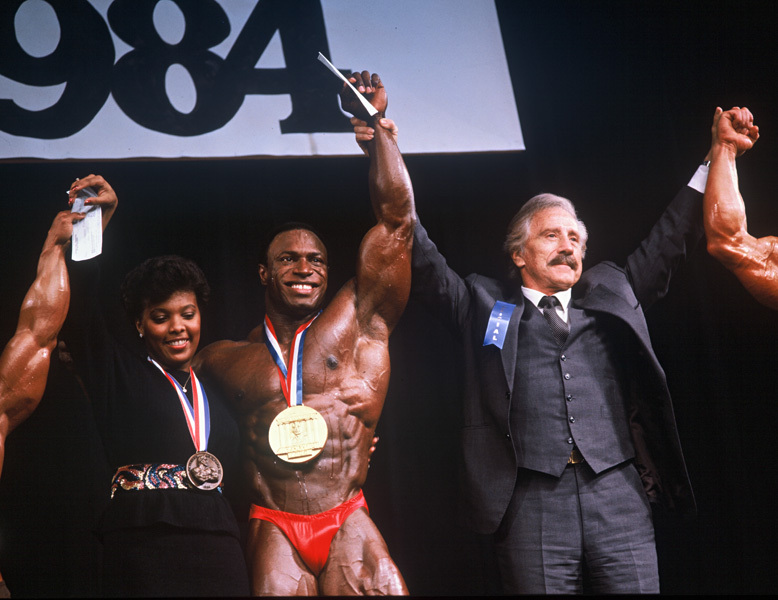 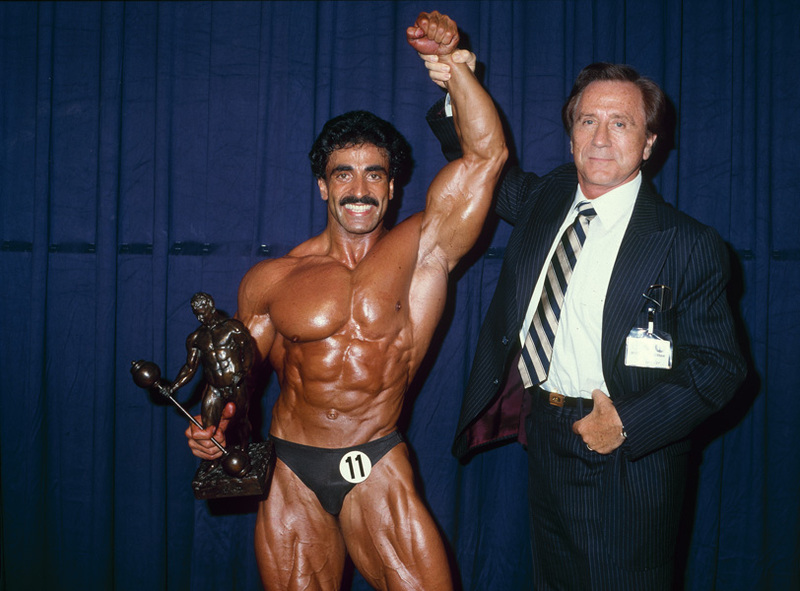 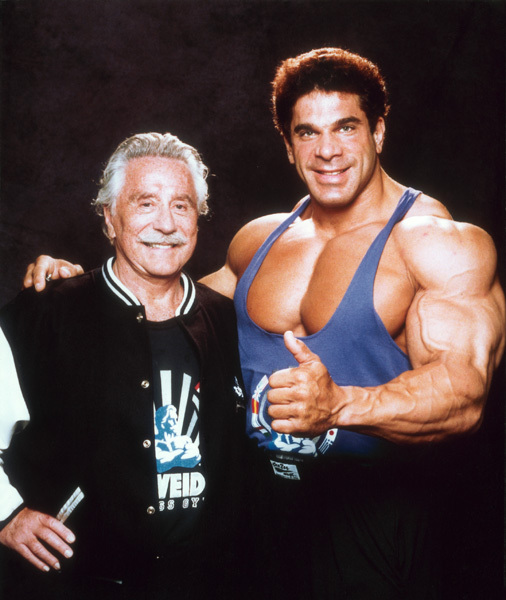 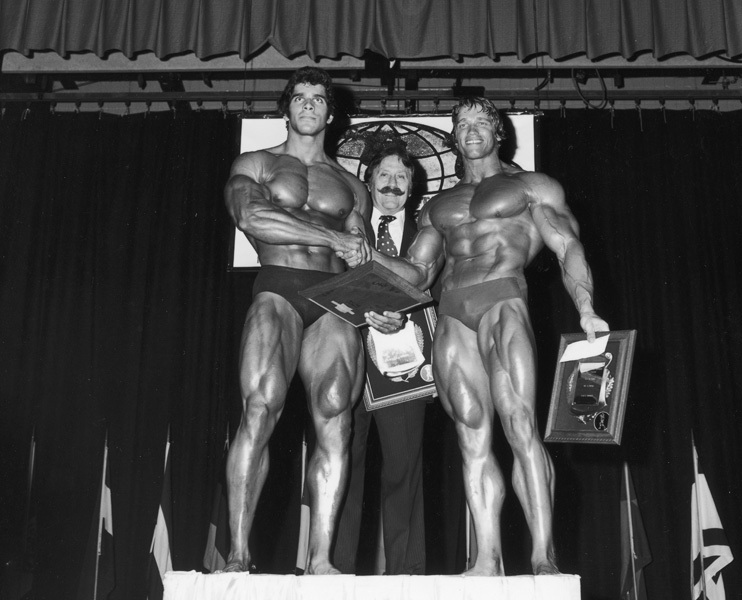 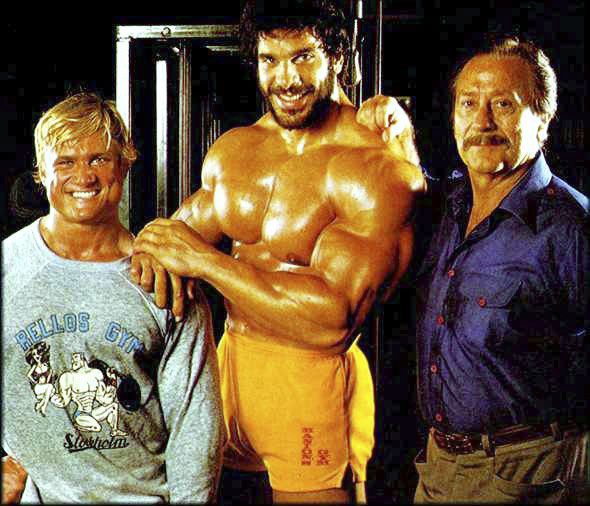 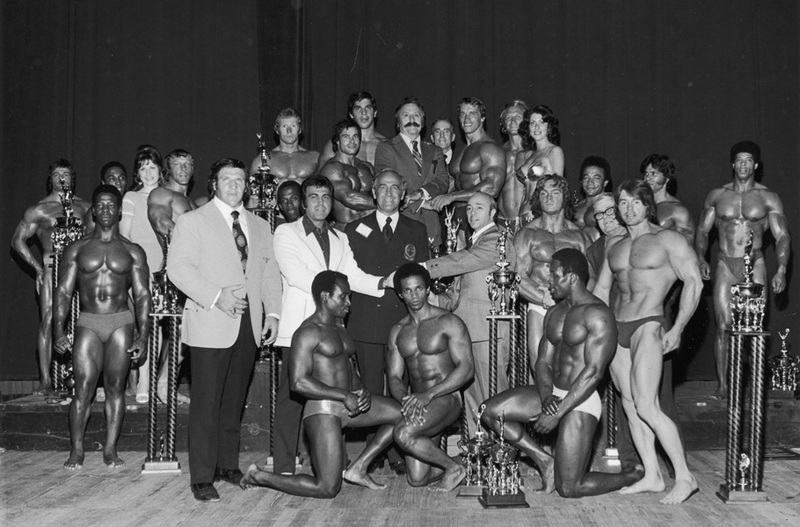 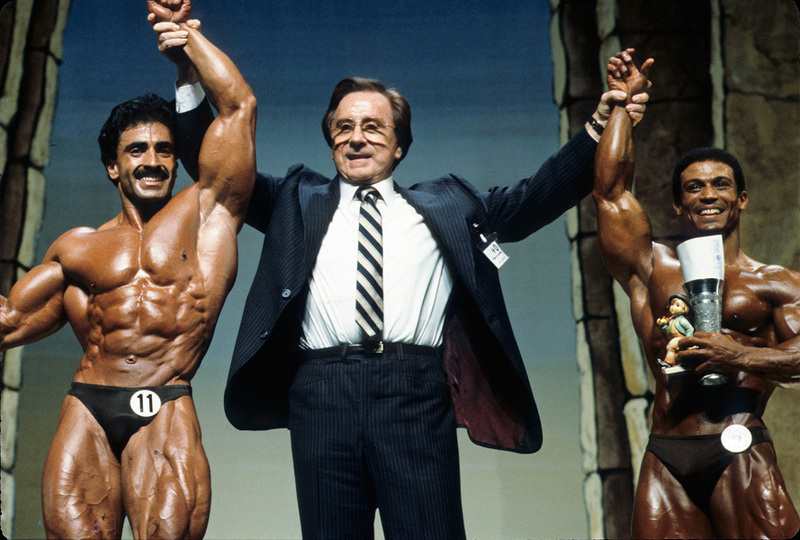 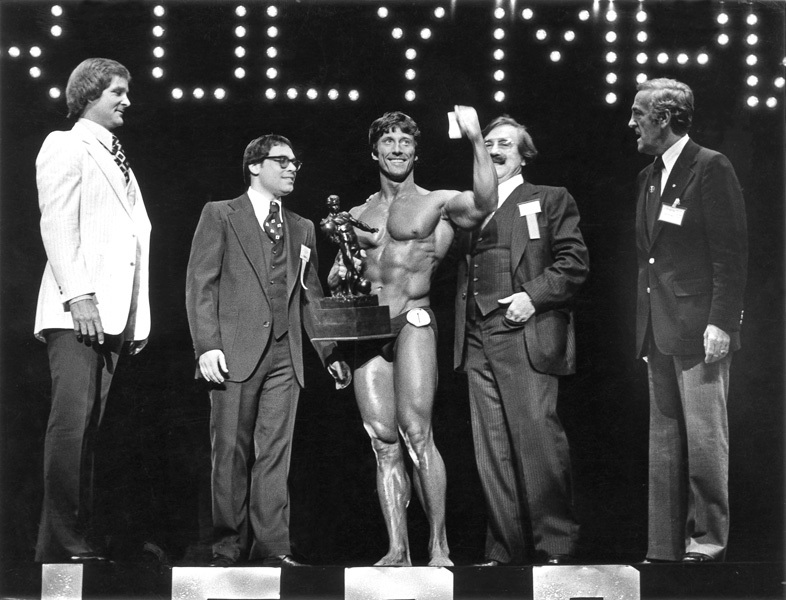 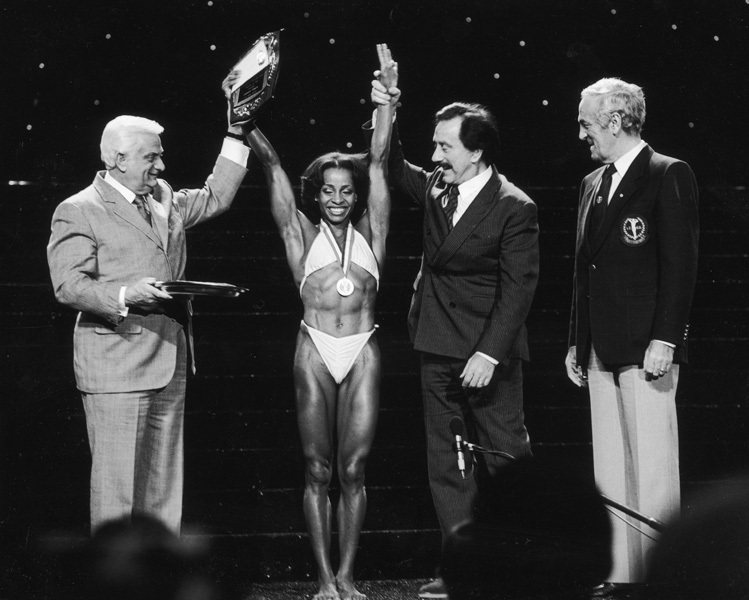 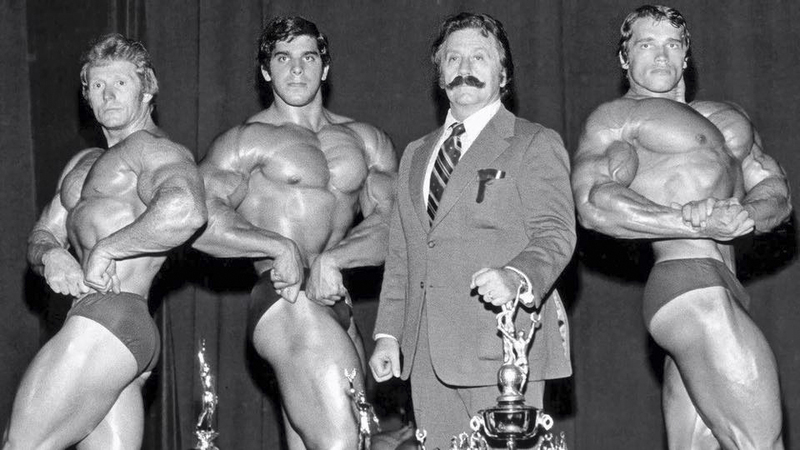 Carla Dunlap, Joe Weider and Ben Weider at the 1983 Ceasar's Grand Prix, filmed and released as "Pumping Iron II, The Women"